Kuala Lumpur, Malaysia, 1 November, 2016 – Commtiva Technology, a leading distributor that specializes in wireless communications products, today announces its strategic partnership with SHARP, leader in technology and innovation for 100 years, to launch SHARP Mobile in Malaysia. 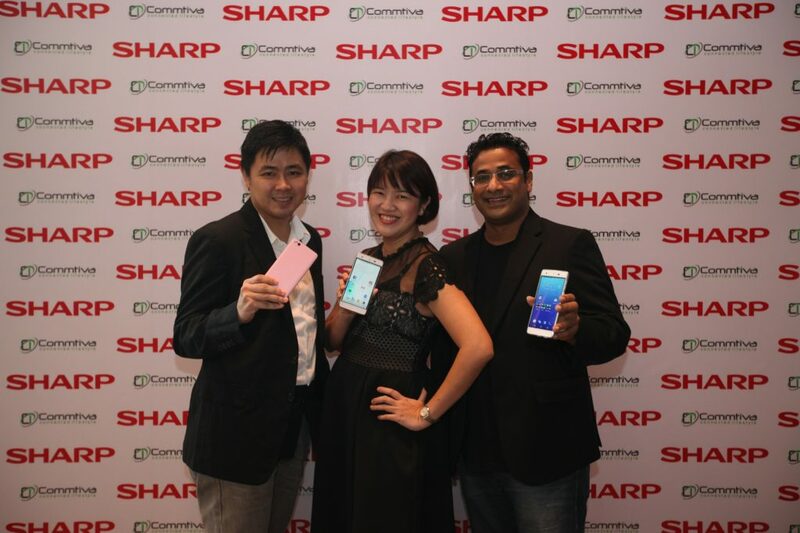 The company is also introducing two new mid-tier smartphones – SHARP Z2 and SHARP M1 – in Malaysia for the first time. In the second quarter of 2016, total smartphone shipments in the Southeast Asian region reached almost 28 million units. At the same time, Malaysia is ranked 9th in the world for the highest smartphone penetration. Amongst Malaysian smartphone users, 34% of the population play games and 43% watch videos on their smartphones. The SHARP Z2 is a 2.3GHz deca-core smartphone, powered by MediaTek’s Helio X20 flagship processor with Tri-Cluster™ CPU architecture. This 5.5-inch powerhouse promises the highest performance, and up to 30% less power consumption for users to enjoy efficient and fuss-free toggling between work and games. Its fast-charge technology allows the 3,000mAh battery to be charged up to 50 per cent in 30 minutes to maximize productivity. Additionally, users can photograph fast moving objects swiftly and capture the perfect moment with its 16-megapixel Phase Detection Auto Focus Single lens. Express yourself with ‘selfies’ using SHARP M1’s high-resolution 13-megapixel front and rear camera. It comes with an in-built back illuminated sensor, which enables photos taken at night to be just as sharp as those captured in normal lighting environments. The SHARP M1 is elegantly designed with Japan DNA ID Design and features curved 3D Corning® Gorilla® glass for greater reflection of lights and shadows to enable users to capture perfect ‘selfie’ moments. To further connect with fans, Commtiva Technology will be launching its official SHARP Mobile Malaysia Facebook Page (www.facebook.com/SharpMobileMY) and @sharpmobile.my Instagram account today. Commtiva Technology will also be running a Facebook contest in November, where SHARP Mobile followers can stand a chance to win a SHARP M1 smartphone. Keep a look out for details about the contest on the SHARP Mobile Malaysia Facebook Page. The SHARP Z2 comes in two colors – Gold and Silver, and retails at RM1,199. The SHARP M1 is available in Hanayome White and Pure Pink, and retails at RM899. Commtiva Technology will also have a special bundle accessory for both the SHARP Z2 and SHARP M1 which includes tempered glass screen protector and cover for the price of RM69. Both products will be available from early November 2016 at all stores, and selected authorized resellers. Please visit www.sharpmobile.com.my for a full stores listing. Commtiva Technology and SHARP will be committed to providing their Malaysian customers satisfactory aftersales service. Please visit www.sharpmobile.com.my/support for more details. IDC Asia (2016), Pacific Quarterly Mobile Phone Tracker. PewResearchCenter (2016), Smartphone Ownership and Internet Usage Continues to Climb in Emerging Economies. We Are Social (2016), Digital in 2016.